Once again, let's study a book — slowly. Who's with me on this one? Yay, Alison! Shirley got the book after we discussed the chapter on "Justice" when we read Diana Butler Bass's Christianity for the Rest of Us last fall. And Donna has found her copy of the book from reading it a few years ago. The book and lecture series are great as is, but having the discussion by Book Buddies will make it even better. I picked up a copy of Justice from the library and have started to read the first chapter. I think this is going to be a very thought-provoking course of study! I should have kept better notes on the reading that I've done so far (first chapter and a couple of pages into the second). I have watched the first two class lectures. Sandel's lectures demonstrate an amazing talent for teaching--I'm especially impressed at his ability to do so for a large audience with such respect for his students. I wonder if his teaching style is typical for Harvard and other prestigious universities or if he is exceptional even for them. Do others plan to watch the lecture before or after reading each chapter? I am so slow at reading that I hadn't planned to also read the supplemental readings, but your links sure make it convenient and tempting. Thank you, Bonnie, for opening this up for our group especially since it is a re-read for you and Donna. Shirley, the nice thing about the video links is that you can always come back and watch them later. Since our discussion will always be here, even years from now (Blogger willing), you can comment on anything at any time. Allison, I'm glad you have the book now. We had a lot of excellent discussion in our face-to-face group when we did this in 2009. Donna and I will be at a video taping with Liz Curtis Higgs in Nashville tomorrow morning, so we're going this afternoon and stay overnight. I'll get our first questions up as soon as I can, hopefully this week. No hurry about starting our discussion, though. I just want to have it there for everybuddy. I pray never to have the need to make such a decision. Killing one person would be the choice I would make. I pose a question: what is the meaning of morality? To me it means right or wrong, your conscious speaks to you when you are making a wrong decision. Behavior is a persons actions right or wrong .Responsibility means obligation to ourselves how we act. Our principles create are personality, our ethics is what we have learned good or bad, it makes us who we are today. I believe our values have changed significantly over the past fifty years and our children and grandchildren our confused and disoriented seeing our world today, here in America. 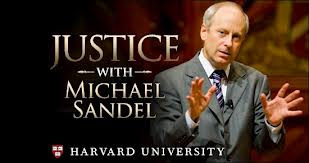 I was picked up at Logan Airport by my old friend Michael Sandel, who teaches the famous Socratic, 1,000-student “Justice” course at Harvard, which is launching March 12 as the first humanities offering on the M.I.T.-Harvard edX online learning platform. When he met me at the airport I saw he was wearing some very colorful sneakers. “Where did you get those?” I asked. Well, Sandel explained, he had recently been in South Korea, where his Justice course has been translated into Korean and shown on national television. It has made him such a popular figure there that the Koreans asked him to throw out the ceremonial first pitch at a professional baseball game — and gave him the colored shoes to boot! Yes, a Harvard philosopher was asked to throw out the first pitch in Korea because so many fans enjoy the way he helps them think through big moral dilemmas. I ran across an article about Michael Sandel: "Capitalism is killing our morals, our future." He has a new best-seller, What Money Can’t Buy: The Moral Limits of Markets. Today “almost everything can be bought and sold.” Today “markets, and market values, have come to govern our lives as never before. We did not arrive at this condition through any deliberate choice. It is almost as if it came upon us,” says Sandel. 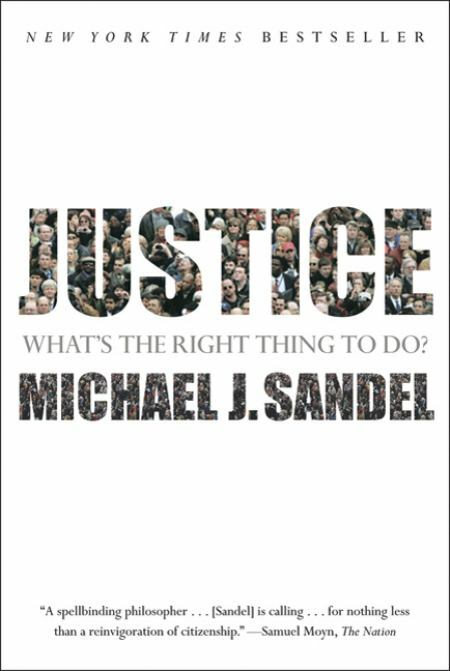 Thanks for the info on Sandel's new book and the article. Too bad more don't question the wisdom of our market society. The article's author's comment that Sandel's problem is that he is too optimistic as those in power are not going to yield and give up their control in order to do the right thing. The reference that not only have the powerful taken over the power of our country, but claim to be following God's will is a sad commentary in itself. Do you plan to read the new book? That would be great if he has another online course. I'm still reading Justice. I'm slow, but enjoying it. Current favorite reads relate to methods used by Montessori. Perhaps if more followed this lead and encouraged respect both for the child and for individuals there would be greater hope for our society. That is a good friend! I need to pick up the pace and finish the first book so that I can join in if you post about the second one. First, I need to post questions for the rest of this FIRST book. I'll try to get another set of questions posted today or tomorrow. I do appreciate all that you share about books to enrich my life even though it's the armchair approach! That was quite a heavy article which I didn't fully understand (it merited more time than I was willing to spend at this time). Two of the comments that especially interested me was that Sandel does not think economics is a science. The way some college classes (e.g., economics and sociology) spent their intro info explaining why they were a science always made me quite skeptical. I also liked the commentary about the experiments of paying students to read or get good grades. I agree that it quickly changes what should be something done because of the student's interest in learning to something that requires payment.